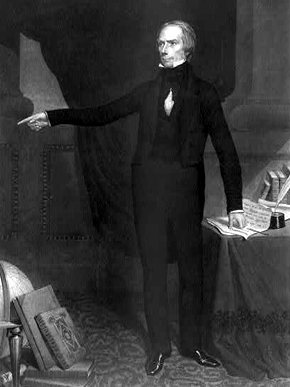 Kentucky politician Henry Clay (1777-1852) was a leading figure in the National-Republican Party, which evolved into the Whig Party. He authored the Missouri Compromise of 1820, the Compromise of 1850, and was Secretary of State under President John Quincy Adams. He served in the Kentucky legislature and the U.S. Congress, and was Speaker of the House from 1811-20.